To celebrate the release of Banner Saga 3 on Nintendo Switch, Stoic and Versus Evil have uploaded a launch trailer for the game today. Stoic, an independent game development company, and Versus Evil, one of the leading independent video game publishers, today announced that Banner Saga 3, the third and final installment in the award winning, BAFTA nominated role-playing strategy game, is now available on PC, PlayStation 4, Xbox One and Nintendo Switch. 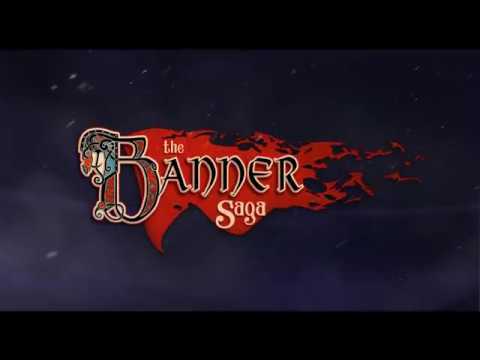 This launch brings the trilogy to a climactic, tragic end in epic form where gamers can now experience the complete saga from beginning to end with the complete Banner Saga Trilogy editions available online on July 26th in digital form. The physical PlayStation 4 and Xbox One trilogy editions will also be released on Friday July 27th and the Nintendo Switch physical trilogy edition to be released September 21st. “Banner Saga 3 represents the final chapter in our Viking adventure which we have loved sharing with the fans every step of the way. We owe a huge debt of gratitude to the fans and backers for helping us create the game we always wanted to make and one that fittingly concludes the trilogy so well”, said John Watson, Technical Director of Stoic. There will be three digital versions of the game at launch. The Standard Edition of Banner Saga 3 on PC will cost $24.99 / £18.74 / €24.99 while the Deluxe Edition will be priced at $29.99 / £22.49 /€29.99 and will include the game’s official soundtrack composed by Austin Wintory in addition to a digital wallpaper, world map and the ‘Gold Wasp’ in-game item. The Banner Saga 3 Legendary Edition is priced at $39.99 / £29.99/ €39.99 and includes everything that comes in the Deluxe Edition as well as the exclusive ‘Shadow Walker’ Heroic Title, the ‘Petrie Clan Ring’ exclusive legendary item and digital novel ‘Gift of Hadrborg’.